For nearly 50 years, honeymooners and romantics of all kinds have traveled to Niagara on the Lake for the scenery, the shopping, the wineries, and to see world-class performances and well-known actors at the Shaw Festival. Perhaps the greatest attraction is the Niagara on the Lake environment itself. Small in scale, Niagara on the Lake inspires walkers, hikers, joggers, and bike riders to explore its beauty. In season, plantings along the main street of Niagara on the Lake are lovingly tended, yielding neat beds of flowers in every color. 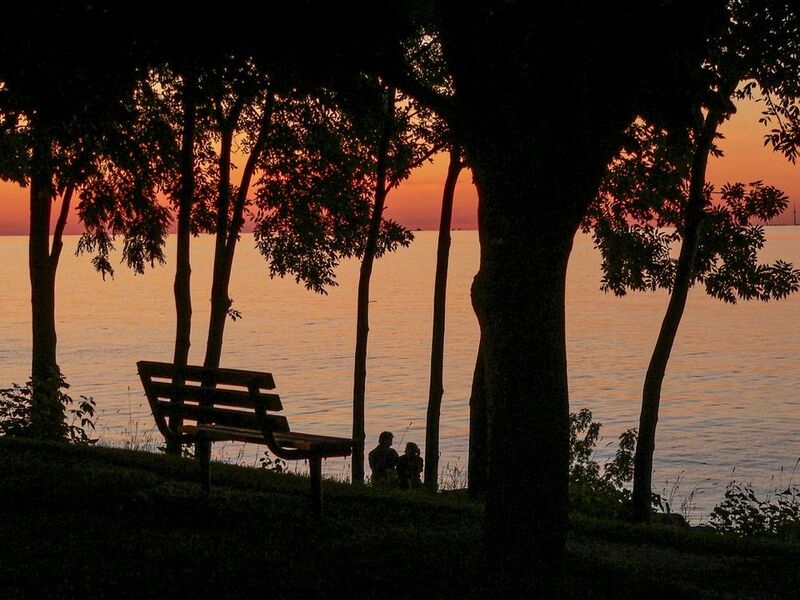 A well-landscaped park, complete with benches for daydreaming and enjoying the sunset, overlooks the shimmering lake. Harbour House Hotel - AAA Four-Diamond property with king-sized feather-top beds, fireplace, whirlpool bath, flat screen TV, DVD player. Some rooms overlook the marina and Niagara River. Fort George - National Historic Site recalling the War of 1812. Visitors can tour Soldiers Barracks and Officer's Quarters. The Niagara region of Ontario, Canada is currently the most widely respected producer of ice wine. Made from the last grapes of the season remaining on the vines, ice wine is a sweet dessert wine with a rich, golden color. After a taste, you'll want to take a few bottles home as a souvenir or gift. Visit the Niagara on the Lake Chamber of Commerce online. In person, you can get directions, pick up brochures, use the restroom, and exchange currency. Since no trip to the region is complete without seeing Niagara Falls, plan to include a trip to the honeymoon capital when you're in the region. The water is truly astounding, the Niagara Falls casinos can be fun, and the honky-tonk attractions a hoot. Then, when you're ready for a serene and scenic getaway, head north, to savor the lovely little village of Niagara on the Lake.